Even if you are running your own business, doing it is never really a 100% solo gig. In these times of having endless technology at your fingertips, sometimes it’s hard to know what advice you should be seeking from the vast world of “experts”. We’ve all found ourselves going down the internet rabbit hole trying to find ideas and advice on how and where to improve only to discover that maybe we weren’t looking at the most reputable sources. So where’s a biz owner to turn? You certainly don’t have time to run out and get an MBA or take 10 different online courses. Well, what better place to look than to published, proven authors who you can get access to through Amazon or your fave book seller? Rework is all about helping you find better, easier and faster ways to succeed. With it’s easier-is-better approach and straightforward language, this book is a great jumping off point when looking to make tweaks to your business. It’s an easy read that I go back to again and again – one of my all-time favorite business books! Despite being originally published over 25 years ago, The E-Myth continues to provide relevant and practical advice on how to navigate through business growing pains and turn a business that isn’t working into a profitable and productive entity. 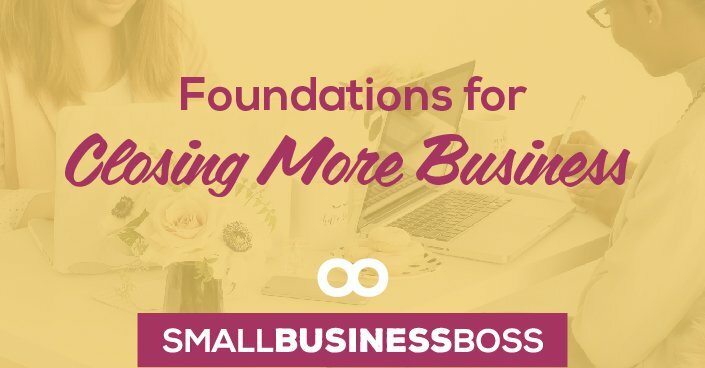 Super practical fundamentals for anyone running a business. This books takes all the excuses that business owners use and turns them inside out. It examines the real difference between what it means to be an amateur versus a pro when it comes to business and is always something I go back as a reminder of when I’m not being a pro. While you may be skeptical of using theories related to the laws of attraction when it comes to your business, Duffield-Thomas makes a compelling case for why things like clearing past negative emotions and ridding yourself of negative associations regarding money can actually help you carve a path for long term financial success. I’ve read this book at least three times and it’s been a big part of me dealing with my money mindset issues. Influence digs deep into the psychology of what makes people say “yes”. It also include six universal principles and how to use them to become a skilled persuader. If you do any type of writing, or selling, you need to read this classic. Time management is one thing that all business owners need to Master. In The ONE Thing, the authors look at concepts like how you can narrow your focus to achieve extraordinary results and how doing less can actually bring a much greater yield when it’s done right. 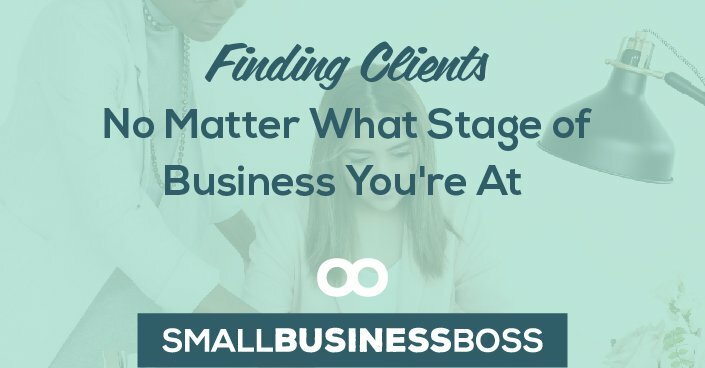 Brittany and I swear by this approach to business and how it can help you get rid of all the things that don’t matter. While struggling to grow his first business and feeling like he was spinning his wheels, Michalowicz came across a local pumpkin grower who provided him with invaluable business lessons. Michalowicz realized that the same principles used by the farmer could be applied to growing a business and decided to put this theory to the test, with amazing results. Here at Scoop we’ve been known to use pumpkin plan as a very when we’re getting bloated or need to get focused – this book will help you re-think what you really need to focus on. We’re all familiar with the term “go getter” when it comes to someone who has a lot of hustle. In The Go Giver, the authors explore the concept focusing on the “giving” as opposed to “getting”, by using the Five Laws of Stratospheric Success. If you run a services business, you’ll especially love this easy read about how being of service first is really the key to success. 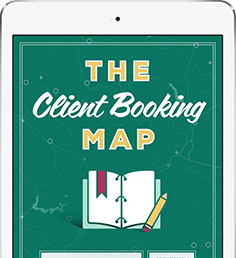 Port takes a practical, no fluff approach to how to find and keep clients. With a vast array of marketing techniques covered, this book offers a multitude of ideas for people looking to grow their business with integrity. I really recommend you get this in hard copy so you can use it as a reference book that you can go back to time and time again. Every so often I get my copy off the shelf to spark a new idea or remind myself of basics I’ve forgotten. Gary Vee understands that the with the vast array of social media platforms available and consumers having near limitless options, a business success is going to be determined by its ability to connect with potential clients. He explains the benefit of not only embracing the social media phenomenon, but also understanding it fully. This is a bit of an older book, but definitely still worth a read. This book’s focus is on everything BUT the sell. Unselling looks at the big picture, from creating loyal, recurring customers to choosing the best marketing technique for your business. It’s all about adding value and making helping your customers your end goal. If you’ve ever worried about being a sleaze bag you’ll love the examples of service and experience in this book. Youtility explores the idea a company or brand should be helpful to everyone, not just those they are hoping will become potential buyers. With social media becoming more prevalent and customer bases becoming more evolved, businesses need to reexamine their marketing tactics to move with the times. This book is super readable and applicable to pretty much every type of business. Handley delves into the concept that in our time challenged world where things are often boiled down to 14 characters or less, the words we choose are even more important than ever. She provides insight into the process of content creation, production and publishing and includes actionable advice on how to get results. Most of all, if you write copy, these bite-sized lessons will help you b a better writer. Made to Stick looks at why some ideas flourish and other flop, and how to make things “sticky”. The authors breakdown the six principles that makes ideas stick and provide plenty of real world examples of how these can be applied. It’s a fascinating read that really makes you think about how you too can create ideas that stick for your own business. This book is a case study of 50 individuals who worked their way to business success using on a modest investment to start. Guillebeau uses these examples to illustrate the valuable lessons that can be applied by anyone in business, no matter the size or scope of their ideas. 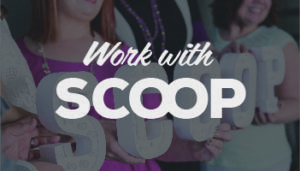 The stories are inspiring and practical as $100 is a low cost investment to starting a business. This books takes the most basic of general accounting practices and makes a small tweak for big results. Instead of barely making it from paycheque to paycheque and existing on meager profits, the author looks at making profit the priority in a simple and actionable way. 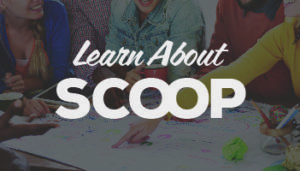 Team Scoop runs our budgets and money using this approach and it’s a great way to make sure you pay yourself and understand some financial basics. 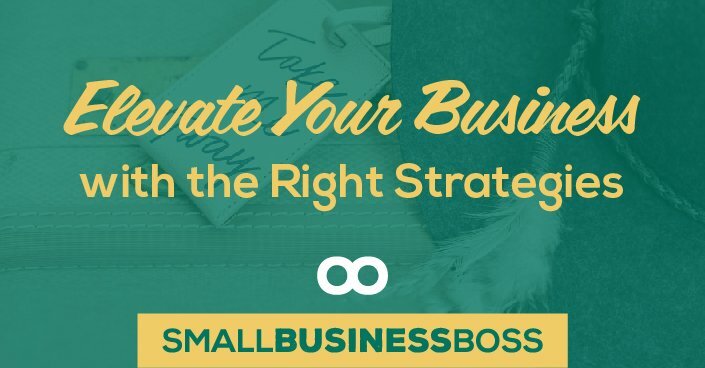 Blue Ocean Strategy flips the script and suggests that instead of fighting the competitors for space in an already tight marketplace business owners should be working to carve out a whole new space for themselves. If you’ve ever felt that there’s too much competition or that you can’t stand out, this book will challenge you to re-think that entirely and push you to be innovative. Sacred Success is a roadmap for taking charge of your life by taking charge of your money. Stanny makes a compelling case that you can see financial success without compromising on your personal values, and that wealth can be created by staying true to who you really are. If you’re struggling with your money and your money mindset this is a great place to start. We all know habits are inevitable. The human brain craves habits to avoid decision making and to be able to function on autopilot.The book looks at how the one thing that distinguishes the successful from the unsuccessful is whether we control the habit or the habit controls us. Super applicable in understanding our own habits and that of our customers. With technology being so readily available and people having the ability to share with anyone at anytime, the marketing tool of word of mouth is more valuable than ever. Jantsch looks at practical techniques that can be easily implemented to take advantage of the power of referrals. This is a MUST read for every business. In this noisy world on non stop social media, companies both big and small are challenged with how to make themselves heard. Vaynerchuk breaks down the key strategies needed to deliver a message and have it resonate with the right audience. This book is a couple years old, but the strategy Gary Vee dishes up here is a good reminder if social media is part of your business in any way, shape or form. Hogshead is the creator of the Fascination Advantage, a personality test that helps you understand how the world sees you. Brittany and I are both obsessed with the Fascination Advantage and use it heavily in our business and with our clients. This book is really a reference guide to go with the test and to understand how you to can use it. Procrastination. The nemesis of every business owner. The War of Art looks at the things that hold us back, why procrastinating can be detrimental to our long term success and how to overcome creative blocks. I read this a few years back and it helped me stop making excuses and put my “art” first. Filled with practical tools, exercises and illustrations to help you start making changes to your business right now, Value Design Proposition is written with you in mind. This is not a light read but it’s smart and engaging if you’re trying to nail down your value. What books would you add to this list? Share with us in the comments below as we’re always looking for a fresh new read!